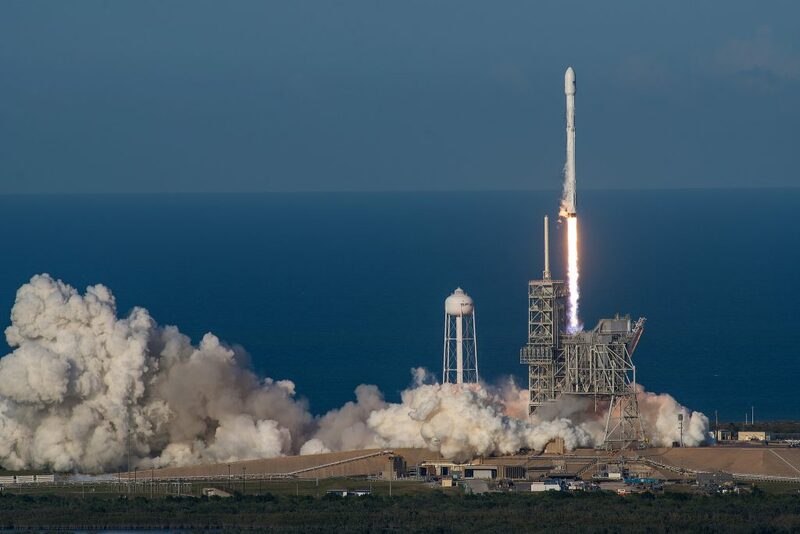 On Thursday, SpaceX successfully launched the SES-10 satellite, and made history in the process by reusing a rocket for an orbital launch for the first time. 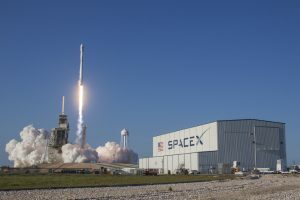 The accomplishment fulfills one of SpaceX’s foundational goals of lowering the average cost of space transportation by recycling rockets. “Let’s make [a rocket] reusable, which means you’ve got to strengthen stages, you’ve got to add a lot of weight, a lot of thermal protection, you’ve got to do a lot of things that add weight to that vehicle, and still have a useful payload to orbit.” Elon Musk told the National Press Club in 2011. Cheaper launches could greatly assist the company’s other endeavor of jumpstarting the colonization of Mars. Musk views reusable rockets as key to landing on and departing from the Red Planet. Here’s why. The mass of reusable rocket must include the necessary hardware to make it back down in one piece. On average, only two to three percent of any rocket’s starting weight actually reaches orbit. “Of that meager two to three percent…you’ve got to add all that’s necessary to bring the rocket stages back to the launch pad and be able to refly them, and still have useful payload to orbit,” Musk said in 2011. Solving this aerospace puzzle lowers the price of launching equipment to the Red Planet by an order of magnitude — and bypasses the need for a space crew to rebuild a whole rocket from scratch, in the case they want to travel back to Earth. The used rocket was originally part of the CRS-8 mission, which sent supplies to the International Space Station in April 2016 and was SpaceX’s first to land on the ocean barge named Of Course I Still Love You. The rocket, once again, nailed the landing on the barge becoming not only the first SpaceX rocket to launch twice, but also the first to land twice. Today’s launch transported SES-10, a satellite operated by Luxembourg-based telecommunications giant SES, into orbit. Shortly after the launch, the satellite coasted into a geostationary orbit over Brazil with the aim of servicing most of Latin America. SpaceX webcast of the SES-10 launch. SES’s pursuit for the first ride on a reused rocket began in early 2016. SES Chief Executive Karim Michel Sabbagh told SpaceNews last year that his company wanted a hefty price cut — 50 percent — on the launch, given its pioneering, yet uncertain, nature.